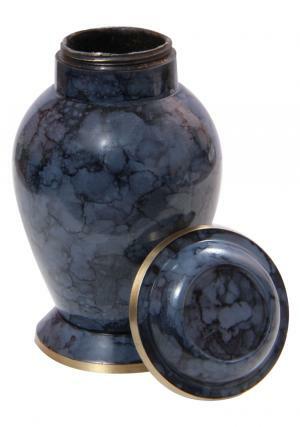 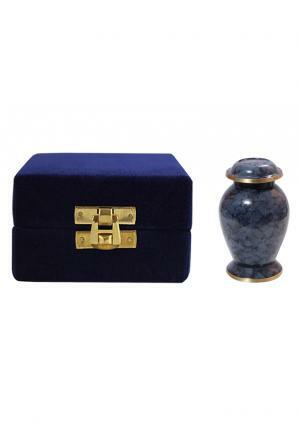 Mulberry Cremation Keepsake Urn is decorated in mix with the denim blue spread as unique curves and cuts on the urn. 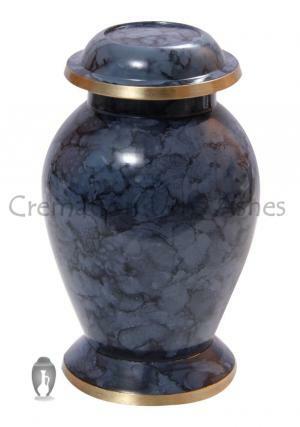 The mini funeral urn is braced with brass metal for a solid nature of the urn and decorated in gold at the bottom with a edge look on the lid. 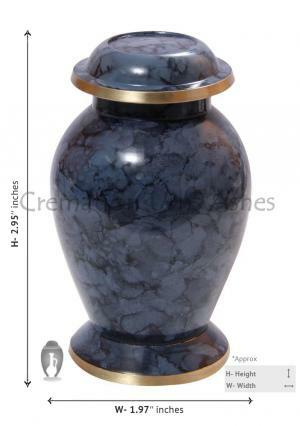 The lid of the urn has simple design similar to that of bottom vase and has a secured threading on the top of the urn that makes it very secured for storing ashes. 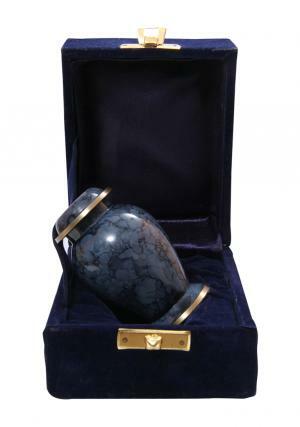 The small keepsake memorial urns for ashes weighs around 0.2 Kg and stands 2.95” inches tall, 1.97” inches width. 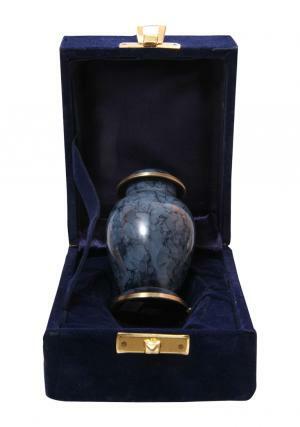 The Mulberry Cremation keepsake urn to measure 3 cubic inches of ashes with an approximation to 3 tablespoons of ashes.